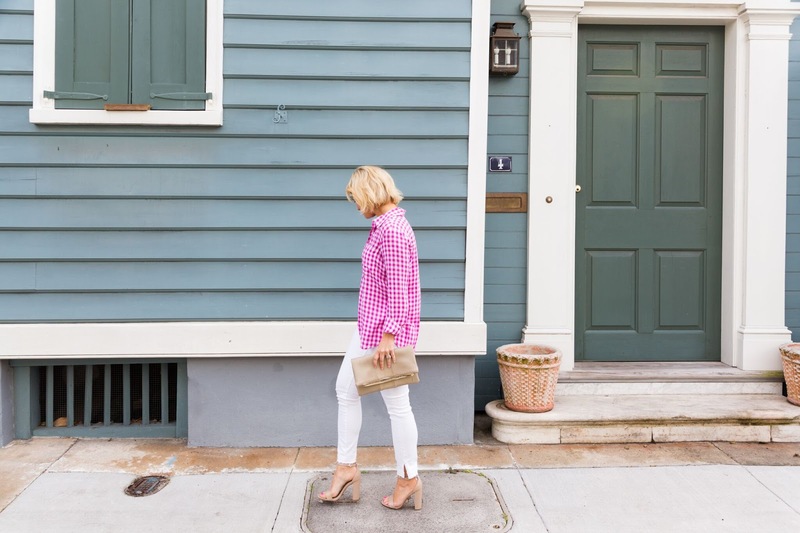 Cheers to almost Friday, and also to finding the perfect shirt! No really, that really is the name of this shirt, and let me tell you, the name does not lie. 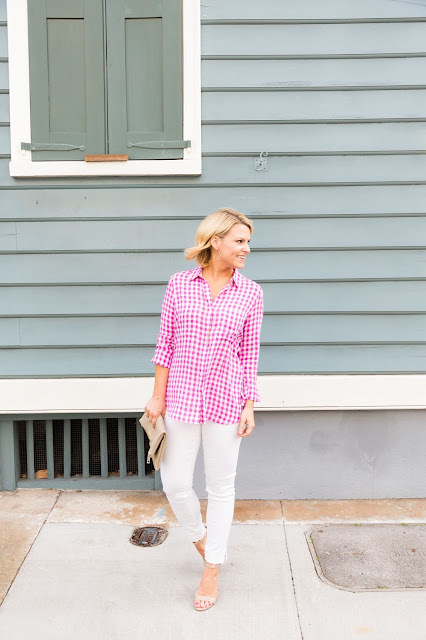 This shirt is lightweight and so soft, and if pink checks aren't your thing, it also comes in six other colors and patterns! I just ordered the light blue stripes and I can't wait for it to arrive! 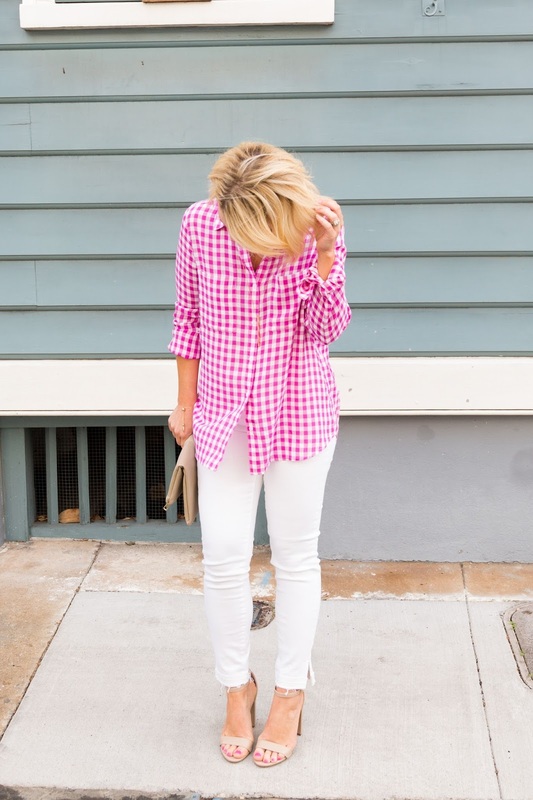 I mean, you really can't beat a good soft button down for under $50. And if you're on the hunt for a good pair of stretch white jeans that aren't see through, make sure you check these out. Also, a few of you asked about the sizing, and so you know, it runs tts. For reference, I'm wearing it in the xs. So sorry!! I just fixed it!